Do you go to Rice University and just convinced your folks to let you have your motorcycle? Do you work for NASA in Houston but now they’re sending you to Kennedy Space Center in Florida, and you have a new car and you don’t want to leave it behind? Have you been trolling online sites for months and finally found the Tacoma you want ... but the dealer’s in Denver? If any of these scenarios describes you, you’re probably in the market for reputable auto shipping in Houston. 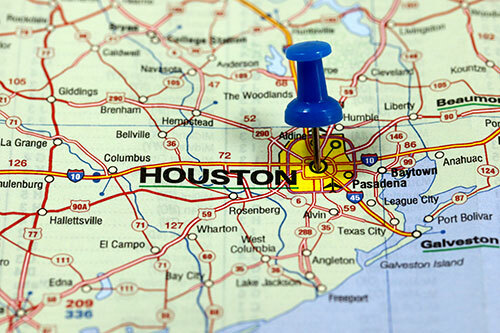 We do motorcycle shipping and truck transport in Houston. 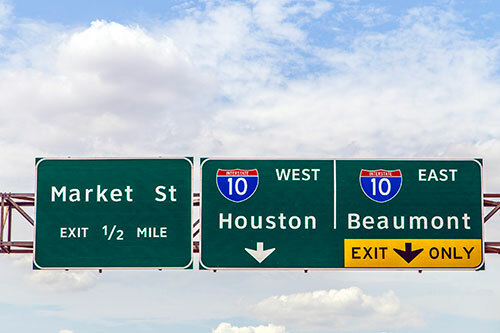 While some auto transport companies in Houston only have the equipment to move cars and small pickups, we’re more than just a transport company for cars. 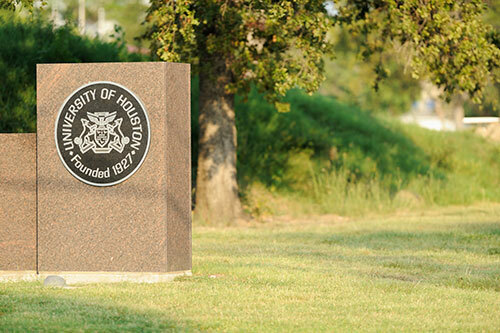 Do you ride with the Houston H.O.G.S.? 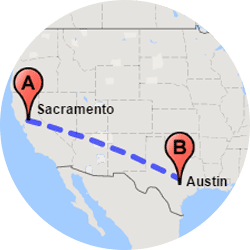 If you ordered a new Harley from the plant in York, Pennsylvania, we can ship a motorcycle to Houston for you. Are you getting your father’s ’48 Dodge that the two of you restored when you were in high school? You can turn to us for classic car transport in Houston. Do you live on a golf course, or wish you did? 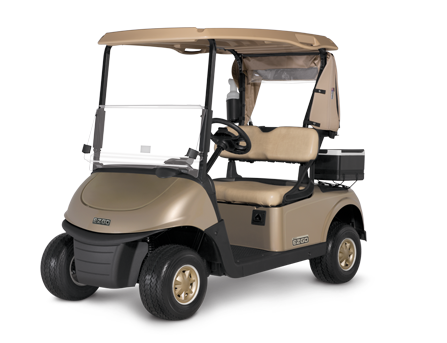 If you’re retiring in Texas and want to bring your cart, we can provide you with golf cart transport to Houston. Do you have a company van that needs shipping? We’re pleased to provide van transport for delivery vehicles, minivans, and those with handicap ramps and related features. 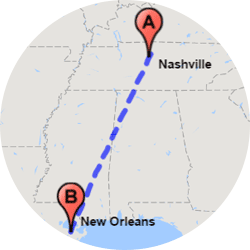 How long does auto transport take from Houston? Are you a Lone Star Chevrolet dealer? 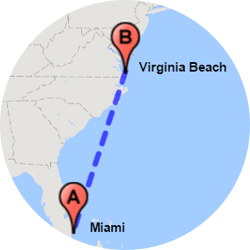 If you a ship a car from Houston to the Boston area, which is 1,840 miles, it will take 4-7 days for car delivery. 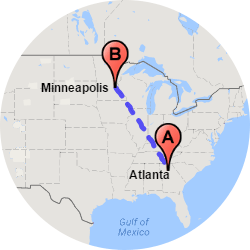 But there are parts of Pennsylvania where it would take longer to get there even though it’s fewer miles. Although it may be closer, it’s possible that car shippers from Houston to Renovo, for instance, could take longer because it’s such a remote town. It also depends on when your auto transporter makes the delivery. Is it during a holiday season when there are traffic delays? 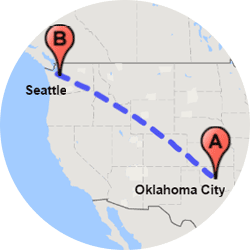 Or is your vehicle shipping going to Colorado in winter? If it’s a gift and you need car shipping in Houston to pick up or drop off on a certain date, you need our express auto transport service. 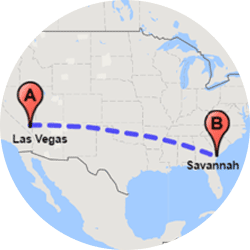 We can sometimes pick up as quickly as 24 hours from your call! Timing is important to you and your satisfaction is our top priority. 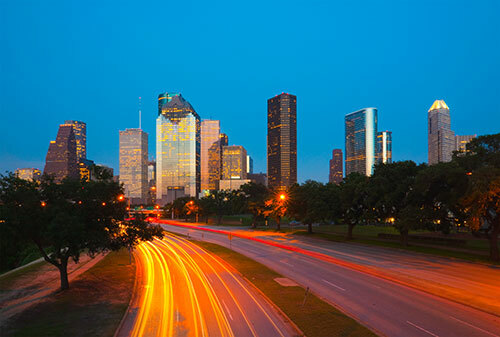 How much does it cost to ship a car in Houston? If you’re already racking up debt as a med student at Baylor College of Medicine you want to make sure it isn’t overly expensive for car shipping services from home. 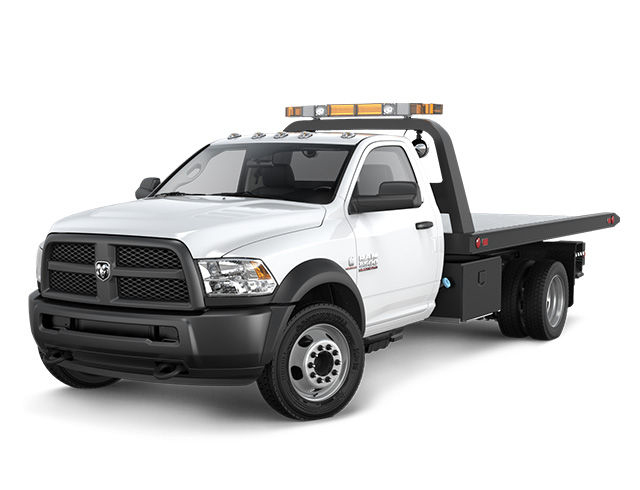 Do you work for Turner Construction and have F Series work trucks to move? We can ship a truck in Houston and it’s no different than a car, except some features can affect the overall price. Does your car or truck run? We can winch it onto the trailer, but added work for auto shippers, or the need for specialty carriers, can affect your quote. Do you deal in high-end makes and models? 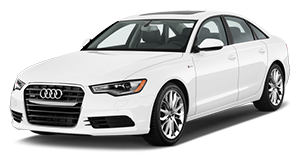 If you need luxury car transport in Houston, we recommend enclosed car shipping, which costs more. At Easy Car Shipping you’ve got one great advantage: the Quick Quote system. That means you can just input your info on the website and get the cost for your shipping job. And not only that – it’s good for 2 solid weeks! 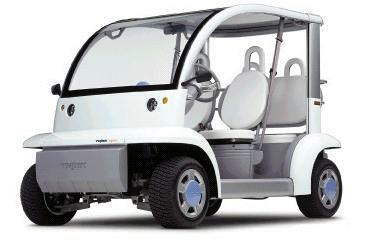 It’s not just luxury cars that require enclosed transport. Light vehicles like motorcycles and golf carts should be shipped inside that type of trailer too. Did you find a Ferrari in Florida and bought it in an online auction? Exotic car transport is another circumstance where you’re more likely to want the first class shipping option. Open vehicle transporters are great for the vast majority of car relocation jobs. You see them on freeways a lot, often with 7-10 cars stacked on a trailer. But an enclosed car transporter offers a lot more protection, only hauling 2-6 cars at a time. 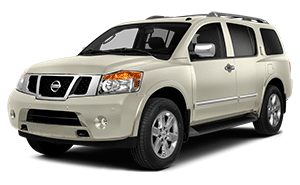 You want to consider it for vehicles valued at $70,000 and above. Did it feel like searching for a needle in a haystack looking for that classic T-Bird? You don’t want to take any risks by allowing car transport companies to be cavalier with something that means that much to you. 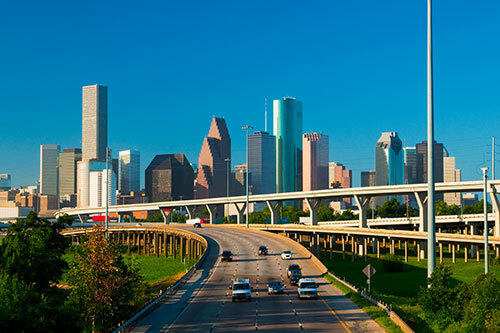 Why choose Easy Car Shipping for vehicle transport in Houston? Whichever car transporter you use, you want their undivided attention. When we’re involved in a job for you, there is a transport coordinator who has his/her sights on your move at all times! It’s your own rep, who sees you through, answering questions and making decisions. In fact, it’s our professional service and great value that give us a whopping 4.6 rating out of 5 stars! With us you get follow-through you don’t always get with other auto transport companies. You want our guaranteed follow-through. A lot of our clients come from situations where shippers dropped the ball. But we offer you something they can’t deliver. You get your own transport coordinator from the time you contract with us for the move. We keep solid communication with you for the duration of the job, so you’re fully informed at all times. If you’re still not sure, check our online reviews to see the satisfaction of our previous clients. Yes, of course. You wouldn’t drive around without insurance, so we don’t either. At Easy Car Shipping, we only use contracted drivers who have full coverage. Not only that, you don’t have a deductible! You’re getting seasoned “car guys” when you choose us for auto transport in Houston. There are rare occasions when something hasn’t “gone according to Hoyle,” but when it does occur, there’s a policy in place. You’ll find all the details in the original quote you receive from us too. It’s right up front. You want reliable auto transport in Houston, so we gather everything on your wish list and do our best to get it to you just the same.